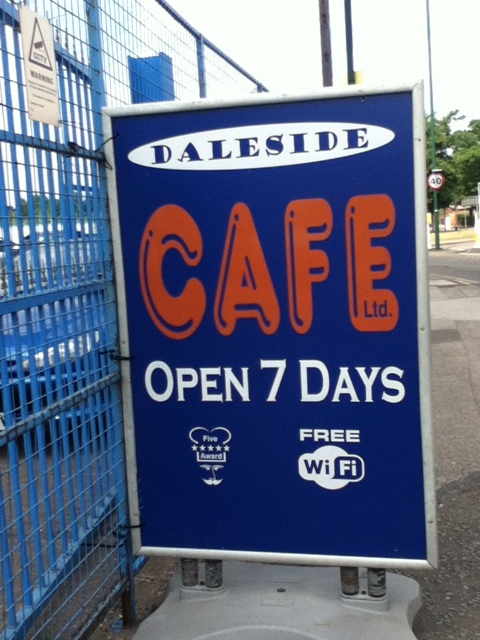 The Daleside Café is just off the roundabout on the A612 about 2-3 minutes drive in the car from the Nottingham race course at the Daleside auto car showroom. 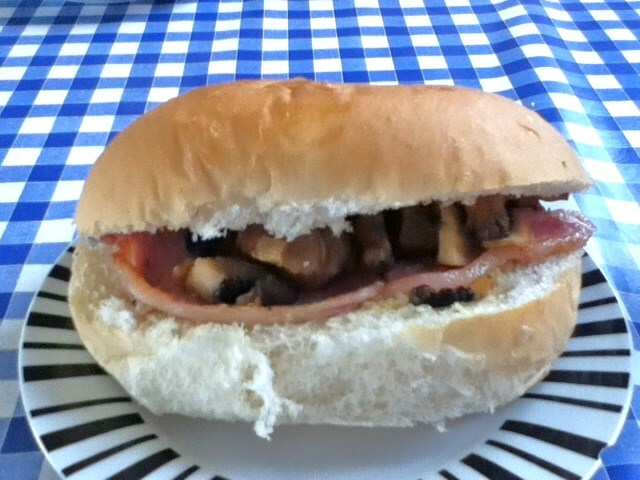 I was playing it pretty safe and initially decided to just have a Bacon Butty then I took a little chance and upgraded slightly to make it a Bacon and Mushroom Butty. It was an OK bap, nothing too amazing, but nothing too bad either. The bacon was your slightly salty affair, plentiful would probably be the kindest description. The bacon could have been a little bit crispier I suppose, but I didn’t mind it as it was. 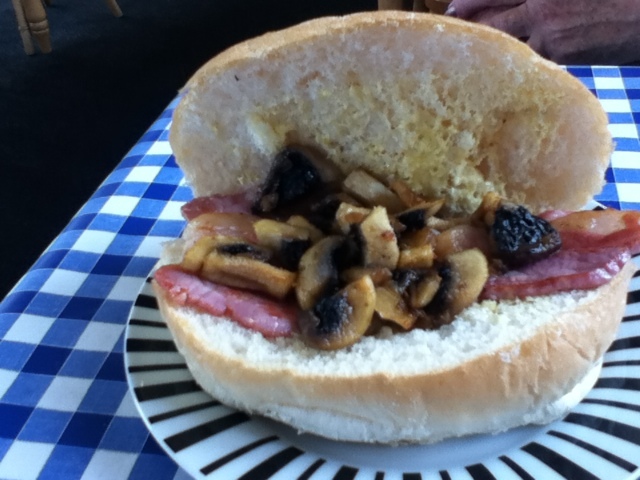 The mushrooms had seen some serious frying action and tasted more of the frying pan than a mushroom, but it is amazing what a good drop of Brown Sauce can do to transform even your basic butty into something more delicious. Overall for just £2.45 you could not go far wrong for a late Sunday morning snack. There was a selection of breakfast plates each with ever expanding contents which could perhaps be used as a barometer to measure ones ever expanding waist line. Starting with your small breakfast for £4 with just one of each item, you then progress up to the large and then the Monty Breakfast with 2 and then 3 of each item the price expanding at the same time to £5 then £6. Although I do like a cooked breakfast I don’t think that I would be attempting a Monty any time soon. 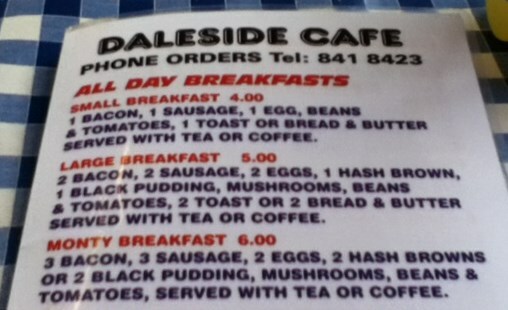 As I said earlier the Daleside café is your classic greasy spoon and it has clientele and staff to match, so just expect to be served greasy breakfasts, mugs of builders tea and a selection of tabloid newspapers to peruse while your stomach absorbs the fat. 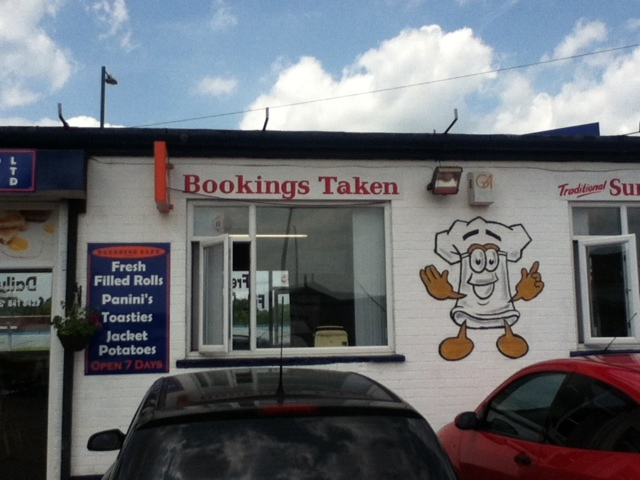 Daleside café is located at Daleside Road, Nottingham, Nottinghamshire NG2 4DH. I am not sure if that is technically Sneinton or Colwick Loop road. Either way of you head down the A612 around about the Racecourse you will find it on the roundabout opposite to the Virgin Cable building. It is well signposted as well in both directions. Previous Post Porco Streetfood in the Old Market Square – Excellent Porchetta!